Select from in stock sheet or order in any size you need. Choose from any of our in-stock sheets or order in any size you like. 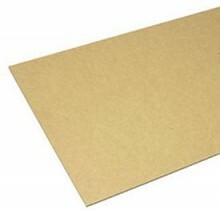 MDF sheets are available 1/8", 1/4", 3/8", 1/2", 5/8", 3/4", and up to two inches thick. We can bring in common sheet sizes like 4x8, 4x10, 5x12 and 4x12 foot in a matter of days. We typically stock 4 x 8 sheets 3/8", 1/2", and 5/8" and 4 x 10 sheets in 3/4" . With the current North American-wide wild fluctuations in pricing and stock shortages, we can no longer publish prices, please call. Call for volume discounts if you are looking for 20 sheets or more. We're standing by, ready to help you choose the right product, determine how much material you really need, and coordinate safe delivery of your order. We carry lot of inventory, so delivery is fast, you'll get your order a few days later.